dal 31 Ottobre fino al 7 Novembre 2011Sw. 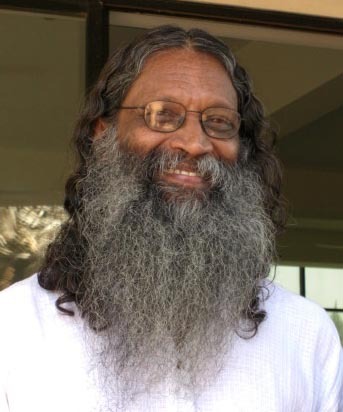 Santhiprasad sarà in Italia nel p rossimo mese di Novembre per condurre Satsangam, serate di meditazione e seminari su temi riguardanti lo Yoga, la filosofia e la spiritualità indiana. 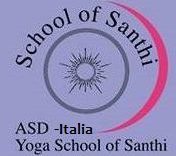 Gli incontri si svolgeranno nella Sede dell’Associazione School of Santhi Yoga School a Faenza ed in altri centri e strutture in località vicine. Vi ricordiamo che per motivi organizzativi per la partecipazione ai seminari è richiesta una prenotazione da far pervenire all’Associazione School of Santhi Yoga School Italia entro il 25 Ottobre 2011 e il versamento di una caparra. “..l’attuale periodo di forte crisi ed incertezza che attraversa la nostra società rende spesso difficile trovare momenti di calma in cui fermarsi, osservare ciò che naturalmente accade dentro di noi e comprendere a fondo le tensioni e le difficoltà che incontriamo”. Lo Yoga nel suo percorso verso la meditazione considera di fondamentale importanza il processo respiratorio utilizzandolo come un efficace strumento di riequilibrio e di gestione dello stress fisico e mentale. Allo stesso modo, lo Yoga utilizza anche tecniche di rilassamento e di osservazione di sè come strumenti di crescita che hanno grandi benefici a livello fisico e mentale. 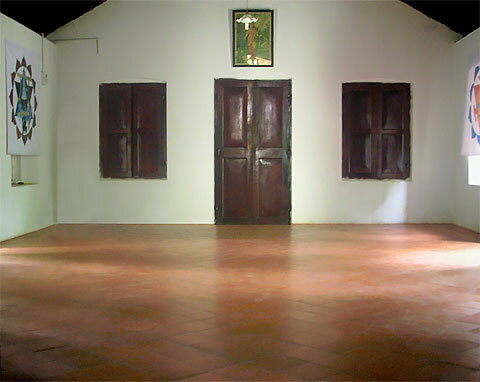 School of Santhi Yoga School Italia. Via S.Maria dell’Angelo 1 – Faenza. (RA). Vicolo Bomba, 19 – Ferrara. c/o Casa delle Arti “L. Cavina”. Via Ammonite 48 – Ammonite – (Ravenna). …Proper recognition of material values bring rightful wealth and power. Recognition of aesthetic value offers enthusiasm and joy, followin g educational values gives proper discriminative understanding, knowledge and humility, ethical value offers coherence and harmony, security and confidence, proper following of Spiritual values give experience of choiceless awareness, compassion, love, freedom and peace. Values are recognized universally in a hierarchy from material value in achieving food security and shelter for all to spiritual values of selflessness, generosity, care, peace, love and freedom. These higher values transcend the limitations of the closed frame work of religions to the higher pursuit of peace for all keeps coherence and harmony to the life here on this planet. The core values comes from the deeper core of the individual as he, in essence, is simple, innocent and loving unless conditioned otherwise. Inculcation of living values has become a potential subject for the educationists as well as religious heads since ages and not much could be achieved so far and the sad result of it is reflected now a day in the modern living. Inculcation of desirable values in the pupils is essential for meeting out the crisis of character. Tejaswinavadhita mastu Ma vidvisa vahai Om…. “May he protect us both. May he nourish us both. May we both work together with great energy. May our study be enlightening and fruitful. May we never hate each other. This is a prayer chanted by the Master and repeated by the disciple in ancient India every time they sit for learning. It has a great significance even today. The Master initiates the process of learning with the above sincere chanting with the basic values of proper learning. Here the master and disciple surrender to the whole, to the higher intelligence to take care of, so that the disciple and the master could study peacefully. How to re-establish values that are the essence of higher evolution and peaceful existence? Human beings evolved on the surface of this earth four milli on years ago according to anthropologists. Probably human beings might be living as all other animals in harmony with nature. The life should certainly have been much valuable as man was living in quite an unfavorable circumstance exposed to high risks with not much tools to deal with, even for food gathering when comparing with the present day human being. But there should have been innocence, truth, righteousness, honesty, respect for fellow beings and nature around, simplicity, tolerance and overall unity and coherence. Otherwise human beings could not have survived these difficult ages. Certainly there might have been fights and wars among them but perhaps one to one war following some kind of elementary code of conducts dictated by the wise in the groups. Never there was thinking for the total annihilation of life on earth for the sake of a group. Certainly life might have been moving with innocence. Happiness, love and peace were there in their life as all other animals do have, at least when they are resting. The present day man has made his life too much complicated with his greedy thinking and complexes based on false notions of image building. His great inventions were some how in due course manipulated for gaining power over the fellow beings. Greed, jealousy, possessiveness, acquisitiveness, competition and consequential frustration and fight with the one who is holding an opposite view of things has some how became so common. Life has become so uncertain and valueless; untruth, unrighteousness, avarice, jealousy and opportunism are well trained and taught unknowingly even at the very early childhood. The disastrous result of it is that any one can run over the other if he has money, connections with higher-ups, power and weapons. Killing innocent people, children, women and old is no more a news. Mass killing in the name of ideologies, massacres in the name of establishing democratic freedom and killing for money also has become rampant. Life has become so uncertain and valueless. At this juncture it is worth thinking of what is really valuable for each and every one of us and the world in general? What is Value? Value goes with survival, happiness and fulfillment and freedom. Survival, happiness fulfillment and freedom are not needs. 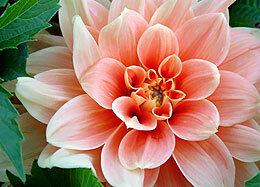 It is the very nature of all living organisms. We human beings by ignorance felt it as need and started to hunt for this. This was a turning point in human evolution. Fundamentally, value depends on its potential to enable existence, both individual and of groups and the world at large. In nature survival of a species depends on the existence of the rest. Nothing can survive alone for long. Existing as full and complete being, crossing beyond even the realms of harmonious existence to the absolute perfection and freedom was the aspiration of the forefathers. As the fundamental laws of existence are not yet unraveled to man fully, we human beings have made our own laws based on our own needs. The needs for happiness disregarding the rest of existence undermine the very basis of eternal values of existence as existence in essence is living together in harmony and finding the absolute nature within. Everything that goes with living together in harmony finding oneself in the process of living has a value in terms of existence! Life has value as it gives the possibility to be here on this planet and experience his own existence and the existence of all fellow beings. Existence comes out of stillness rather silence and so the life offers the possibility to be here peacefully in silence though the very nature of life is dynamic. As everything comes out of stillness which is silence, all that enables a person to be at his roots, the silence has a tremendous value, which is considered as the spiritual value, the highest one. But the present world some how attributes much of its attention to the material side of things, which is based on need, convenience and utility. That which is good for the body and bodily pleasures and comfort has gained importance more than it requires to enabling a simple existence. In the hunt for material pleasures and comfort that we value the most; we at times have forgotten aesthetic, emotional, moral, social and spiritual dimensions of existence and even have forgotten its values. Traditional values like co-operation and respect for the welfare of the community is forsaken now a day for the welfare of the individual and his closed community, the family. Peace and solidarity among nations are violated by nations having power with motives of exploitation. De-humanization without respecting the worth of human being has become the central hidden idea of almost all establishments. Acquiring wealth, money, position and power will give a kind of satisfaction and happiness. In that hunt we forget to live a simple, sincere and honest life. As a result frustration, tension and fatigue grab the normal existence and life become miserable as it leads to sickness, sickness of the mind, which leads to lack of clarity that breeds confusion. A confused mind pushes a person into state of bewilderment before issues of life. When a person is bewildered he looses memory which is followed by loss of intelligence. And who so ever looses intelligence will perish according to scriptures. The anxieties of mind lead to change of breathing process. Incorrect and improper breathing changes the elemental composition of the body and that in turn invites diseases. Sickness is a warning of death. Death comes at the door step untimely and one has to succumb to it with desperation and despondency. The whole life becomes meaningless. The individual is lost in this way in the game of life.